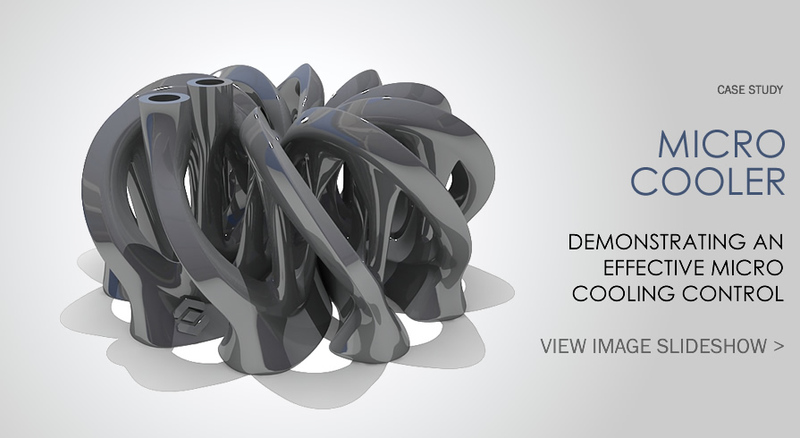 Designed by Autodesk Within Consulting, this cooler design for microchip-level temperature control does not require the use of support structures to manufacture due to its cleverly composed teardrop shaped fluid channels. When extracting heat from a microchip through fluid cooling, typical coolers will direct fluid around a component using one rotation which can result in an imbalance of hot and cold temperatures. Within's micro cooler ensures a double rotation of fluid which enables an even distribution of temperature.